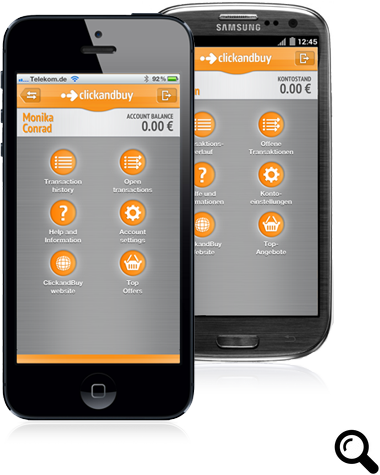 Clickandbuy is a common online payment option but it is not as widely used by online betting sites than some of the more popular online payment methods. It is available from some well known online bookmakers, which we have listed here, but you might notice that many more familiar betting sites do not support this option. Betway sports accepts Clickandbuy deposits starting at £10.00. They also offer this option for withdrawals. Betfair is one of the few ‘top tier’ sportsbooks that accept Clickandbuy deposits; the limits start at £10.00 and €15.00. This service is quite similiar to many of the other online payment services that are now available. However, there are some limitations that may make this option less suitable than some of those other options. If you already have a Clickandbuy account that is funded, then that’s great – you can use that account to deposit to any bookie listed on this page, and you should be able to use it to withdraw your winnings too.. If you do not already have a Clickandbuy account and you are thinking of setting up one to manage your online gambling transactions then you will have a bit of work to do. To start, go to the official site and create an account. This link goes to the official site. While you are doing that you will need to provide personal details such as your phone number and email address, your home address and your date of birth. That is fairly standard and much the same as when you are setting up an account with any online payment provider. Be sure to use real details when registering as you may be asked to prove your identity and your age. Users must be aged 18 or older to open an account with this service. You will also need to provide your payment details which will be either a credit card or a bank account. As with all services like this, if you already have a credit card then you could simply use that to fund your betting account. Once you are set up you will need to go through the verification process which will involve the service depositing a few penneis into your bank account or credit card, and then you enter that exact amount in the verification process to prove that the bank details you provided are actually yours. Once all that is done and you are funded then you are good to go. One great aspect of this service that other payment providers are still a little bit behind in is the mobile app. You can use this app to make payments from your mobile in a few taps, which is where this service really shines. It is only a matter of time until the other more popular methods get in on this and upgrade their own offerings though. As a payment service it is as useful as you want it to be. Currently there is no debit card option which limits how you can withdraw your cash. If you are managing just a small sized bankroll then this service may suit you well enough. Should you grow your bankroll bigger over time you may outgrow this service though as the limits can be a bit restrictive. I don’t actually use this payment method myself so my knowledge of their support is limited to a few emails that I sent asking some simple questions, which were answered well enough. I don’t really know what you can expect if you ever do run into trouble here. If it is like any other payment option then you will probably not enjoy it, but again, I cannot say that with any authority. Overall, it appears that this service may be useful for more casual punters than for serious bettors. The ideal situation would be that you are a casual punter and already have a funded Clickandbuy account – then this is a perfectly good option for you. If you do not already have a funded Clickandbuy account and are considering setting one up, then regardless of the level that you bet at, you should probably consider creating an account at one of the more well known payment processor – Skrill or Neteller would be my recommendation, if they are available in your country. It will take about the same amount of effort to open an account with either of those two businesses, and you will have the extra benefit of the debit card option, and, more importantly, you will have a much wider selection of online betting sites that accept those payment methods. Many well known bookmakers unfortunately do not accept this option, though you might assume that they do. Names like Bet365 Sports, 888Sports, PaddyPower and so on, are not listed here because they do not accept deposits using Clickandbuy. it is not an oversight on our part – we checked. If that changes in the future we will of course list them here. Given the lack of a debit card option, the low transfer limits, and the low amount of betting sites that accept Clickandbuy, this payment option is not really recommended for online gamblers. As far as the service goes, it is ok, but there are many better, more widely accepted options that we would recommend before this one. This service is offered in a lot of countries, but we do not have any bookmaker that uses this service and that accepts players from the U.S.A. at this time.